When you ask a tech crowd about hard drive partition managers, many people will agree that EaseUS Partition Master is the best tools for the job. Why? Because it offers many great features, yet remains easy to use. It’s also MakeUseOf’s favorite partition manager for Windows. So what does a hard drive partition manager do? 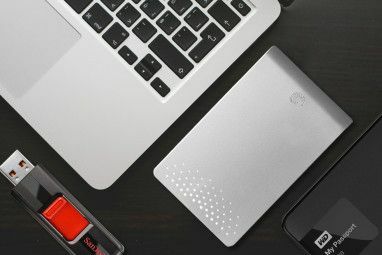 New hard drives typically come with one large logical storage unit that spans the entire size of the disk. A partition manager can slice that space up into multiple partitions, meaning it can be used like multiple disks. 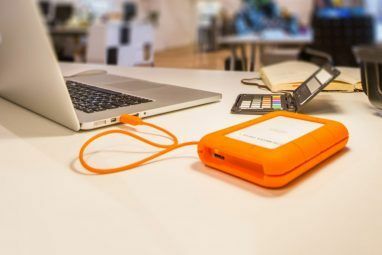 There are many reasons why you would want to do that, for example to boot more than one operating system from the same hard disk, or to store personal data separately from your operating system, meaning you can wipe the system partition without losing your files. Now, what if one partition becomes too small or you don’t need it anymore? A partition manager can also resize, move, and merge partitions. While Windows does provide native disk management tools How To Shrink & Extend Volumes Or Partitions in Windows 7 How To Shrink & Extend Volumes Or Partitions in Windows 7 In Windows 7 and Windows Vista, resizing your volumes or re-partitioning your hard drive has become a lot easier than in previous Windows versions. However, there are still a few pitfalls that will require you... Read More , third party software usually provides additional features. Note that EaseUS Partition Master is launched from a start screen that features two other EaseUS tools, which are the EaseUSData Recovery Wizard and EaseUS Todo Backup. This review focuses on the partition manager only. Front and center are all disks connected to your computer. Connected drives are listed as Disk1, Disk2 etc. Under each disk header, you will find all partitions of the respective disk and their properties. Below the drive list, you see the disk map, which presents a graphical overview of each disk’s partitions. The left-hand menu shows all available operations for each partition. See how the menu changes as you select different partitions. Key operations, like Resize/Move, Delete, or Merge are also shown as buttons in the toolbar on top. In addition, all operations are accessible via the menu shown in the screenshot above. Moreover, you can change what you see or how items are arranged via the View menu. The main purpose of this tool is to create, resize, move, delete or merge partitions, and – with the exception of deleting a partition – without compromising the data stored on each disk or partition. After closely inspecting the interface, you should have an idea how to use EaseUS Partition Master. I will take you through the finer detail of basic operations here, using an unpartitioned external hard drive. I want to create a partition. Note that this option does not exist. So first, I have to create some space, by resizing the existing single partition. To do this, I select Disk2, my external drive, and click Resize/Move. A window pops up that allows me to change the size and position of the selected partition. Grab one of the ball-shaped handles on the left or right of the partition and move it or grab the partition in its center to move it as a whole. The latter only works if there is unallocated space to its left or right. Note how the disk map at the bottom updates, showing the result of your changes. I don’t want my data to be moved, so I create unallocated space on the right side of the existing partition and click OK. The disk map now shows unallocated space for my external hard drive. I can select the unallocated space and click Create under Operations or in the toolbar to create a new partition. A window will pop up where you can select a partition label, file system, drive letter, cluster size, and how much of the unallocated space should be dedicated to the new partition. Again, you can drag the ball-shaped handles to change the location and size of your new partition. Now I have a smaller partition with my data and a new partition flanked by unallocated space. Try to grab the partitions and move them around in the disk map. That is what I call intuitive software! Now if you tried this yourself, you may have noticed that all of this went pretty quick. Did EaseUS Partition Master really create a new partition in a matter of milliseconds. No, it didn’t. None of the operations are immediate. They are all parked in Pending Operations in the bottom left. You can undo changes via the toolbar or General menu and once you are ready, hit Apply. In other words, you can safely play around, without making any actual changes. EaseUS Partition Master has a very clear interface, yet offers many advanced features. It is easy and intuitive to use and protects the novice from making hasty mistakes. It is superior to Windows’ native disk management because it is more flexible. For example a partition can be extended, regardless of where unallocated space sits, simply by dragging everything into place. We have covered other drive partition tools in the past, including GParted GParted - The Ultimate In Partitioning Software GParted - The Ultimate In Partitioning Software Read More . Do you have a favorite third party partition manager or are you completely satisfied with Windows’ native disk management How To Shrink & Extend Volumes Or Partitions in Windows 7 How To Shrink & Extend Volumes Or Partitions in Windows 7 In Windows 7 and Windows Vista, resizing your volumes or re-partitioning your hard drive has become a lot easier than in previous Windows versions. However, there are still a few pitfalls that will require you... Read More ? Explore more about: Disk Partition, Hard Drive. I have used Easeus for quite a while now basically for the fact of its easy to use approach. I mean you cant beat easy to understand apps. To me there is no point having a feature rich app if you cannot figure out how it works. Thanks for a great article Tina, although as I said Ive been using Easeus for quite some time, its always nice to have a refresher course on its features. I used to be a big fan of EaseUS but switched to AOMEI Partition Assistant Home which is also free, both are very good and just about even feature for feature but if I remember right the home (free) edition of EaseUS will not allow you to create a bootable cd also AOMEI does not put a start up item in your msconfig settings as well. been using easeus for a long time and for me its an excellent alternative to windows disk management as it has a very limited capability. 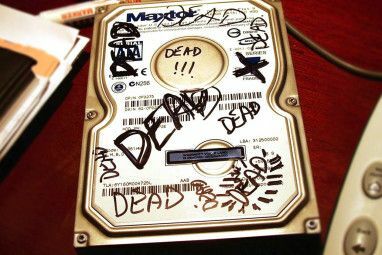 A few days ago, one of my friends asked me to recovery data of a WD external hard drive which has crashed. When I plugged hard drive to the PC it asked to format it. After a long-time research, I have fount "EaseUSData Recovery Wizard" which is so promising. I tried and could recover 463 GB of data. One interesting point I have seen it recovered files in their own Folders (folder by folder). In addition, their was extra folders which belong to those files that had been deleted in the past, but the files were organized as file type not as the folder structure. The overall process (searching for files + saving files) took about 24 hours. Thanks for sharing your experience with another EaseUS tool, Haval! This looks better than Paragon's (visually), however I prefer Paragon HD Manager and Paragon Partition Manager. What makes Paragon's tools better? Do they have better features or have you had a disappointing experience with EaseUS tools? Paragon is more trustworthy in my opinion. They are in this business for so many years and their products have many more tools and tweaks. That does not mean EaseUS tools are bad, they are great, maybe I'm used to Paragon products. What makes you prefer GParted? Is there any particular feature other tools are lacking? By the way, I reviewed the free edition of EaseUS Partition Master above. GParted can format at least twice as many different file systems as EaseUS. While GParted can work with all of the Windows file systems, EaseUS can only work with two Linux file systems, one of which (ext2) has been out of use for a long time. The ability to format ext2 & ext3 is no recommendation for EaseUS. Ext2 has not been in use in many years and is deprecated. Ext3, while still in use, is on its last legs and has been replaced in general use by ext4. Well, EaseUS is a Windows application. Most Windows users don't use Linux or Linux file systems. And they won't be interested in GParted, as it's available for Linux only. While GParted is not bundled with Windows, as it is with Linux distros, a stand-alone LiveCD is available and can be used to create Windows partitions. I like to use GParted rather than fdisk or gdisk to create and format Windows partitions. BTW - in Features Overview you did mention "manage Linux partitions formatted with EXT2 or EXT3 file system" which prompted my statement. Yes, we actually wrote about the GParted Live CD.